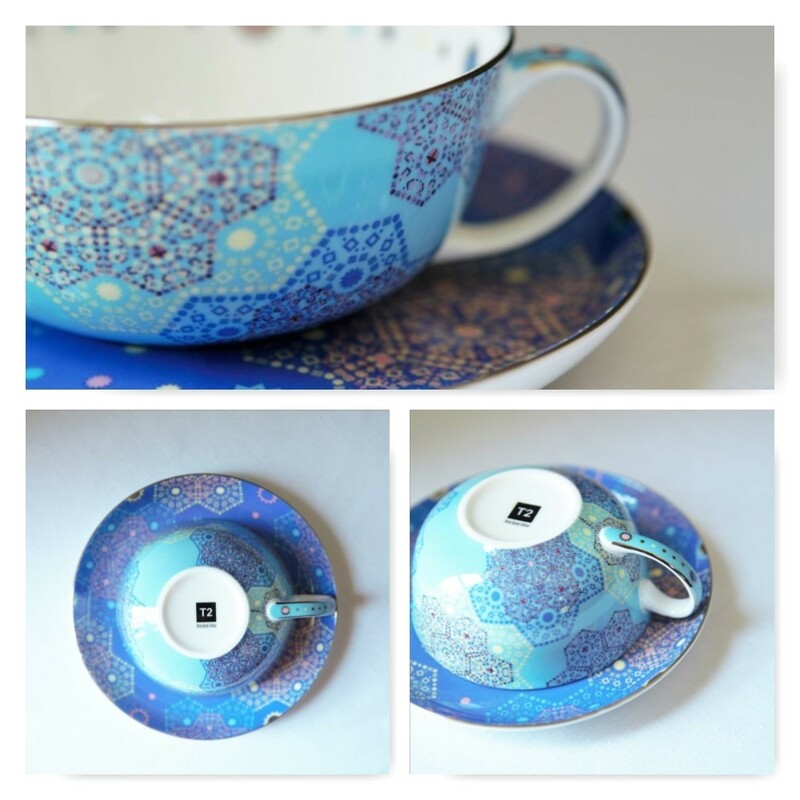 I bought a new teacup and saucer. I don’t have a problem. Stop judging me! I love the geometrics and with blue being my favourite colour, this pair really floats my boat. They have others in different pastels, but this combo speaks to me the most. It’s quite a flat cup so requires being held in a bit of a careful and dainty manner, which makes me feel a bit full of myself. 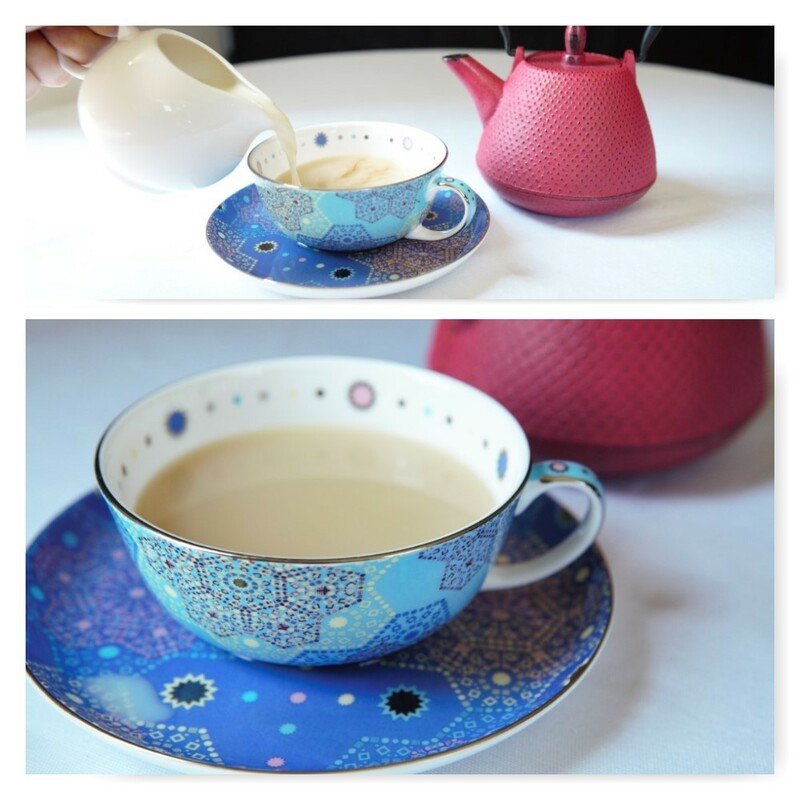 It’s and easy duo to admire while doing my daily mindful afternoon tea ceremony. I’ve been meaning to try this sample for a while. One of T2’s own creations, this vanilla-flavoured, black tea tells a different story to the vanilla-flavoured Melbourne Breakfast. 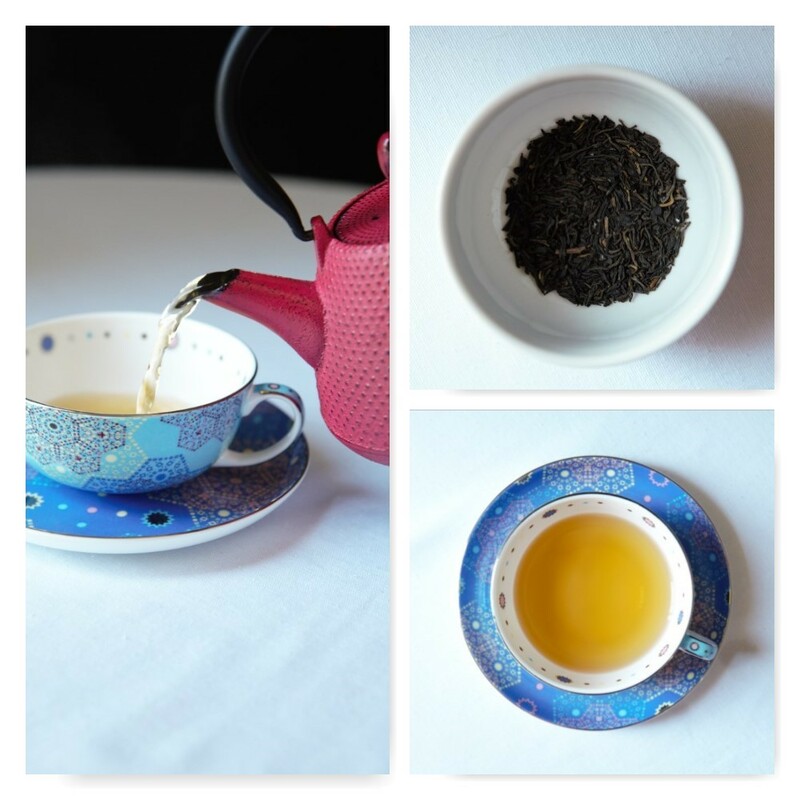 Where Melbourne Breakfast could be described as their English Breakfast with a whole lot of vanilla dumped in, the Perth Breakfast contains Sri Lankan black teas, with vanilla and bergamot flavours making it vaguely reminiscent of earl grey. There are no bergamot leaves, just black tea and “flavour”. There’s something disappointing about the fact that many of their brews don’t contain the real deal, but then I do enjoy them anyway. The smell of the leaves is delightful, and 3 mins at 100°C in my cast iron pink pot produced a medium-bodied brew. I think overbrewing this tea would result in more vanilla than you perhaps want. I served mine with a little bit of sugar and some soy. The tea was pleasant, sweet and almost creamy. Needs a bickie to go with. Thoughts – while this is a pleasant brew I won’t fool myself into believing that I would frequent this one. I just don’t do a lot of desserty tea, and certainly not for breakfast. I think that this really should be called a “Perth Afternoon” because as a lighter black tea with a sweet flavour does not belong in a morning cuppa, in my rather opinionated-opinion. What do you think? Do you like dessert for breakfast?